It’s that time of year again! Time to watch one of the most meaningful movies of all time – a movie which gets more meaningful each time I watch it. 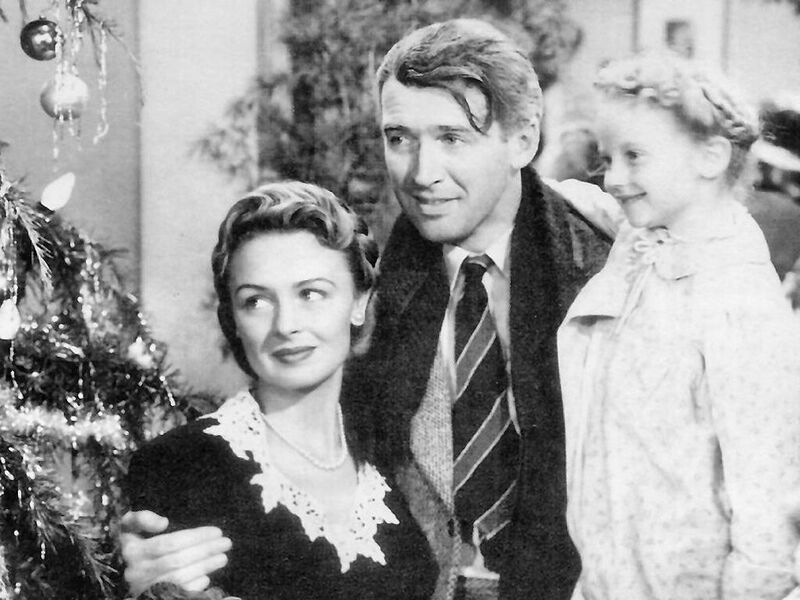 I understand Frank Capra made It’s A Wonderful Life after an experience of deepening faith that would ultimately (under the influence of his wife) lead him back to the Catholic church. There is more good theology in this movie than in some theology texts! The movie starts off with people in the town praying for George Bailey – one of the prayers is to Jesus, Mary and Joseph. It is through prayer that God is going to transform George Bailey’ life and show George all the good he has done in the world. In fact, just before George is about to commit suicide, he makes a short prayer to God, saying, “SHOW ME THE WAY.” It’s hard to imagine a more powerful prayer. And God hears George’s prayer and begins to unveil to him (George Bailey) the rich tapestry of his life. Everything is accomplished through PRAYER. 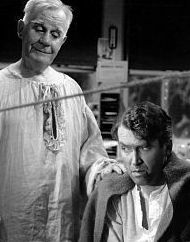 George didn’t realize that through his mundane and hum-drum life in Bedford Falls, God was accomplishing much good. When the veil was lifted from his eyes, and he was allowed to see how different things would have been without him, he was filled with the deepest gratitude for all the great things in his life – most especially his family and friends. Let us rejoice and be thankful for all the good things God has given to us. By the way, The Bells of St. Mary’s is also a powerful movie (and my second favorite Christmas movie is The Bishop’s Wife). Ref. Images at Wikipedia, Public Domain, U.S.A. See “The Catholic Vision of Frank Capra” via Google. “Puts into motion positive spiritual forces” : a phrase borrowed from Cardinal Ciappi he used in the context of Marian consecration (see CCC 1477). In his great spiritual classic, Abandonment to Divine Providence, Father de Caussade wrote something which applies very well to George Bailey:“Faith, piercing the superficialities, disclosed that God was accomplishing very great things [in his life].” Let us pray for a great spirit of faith.